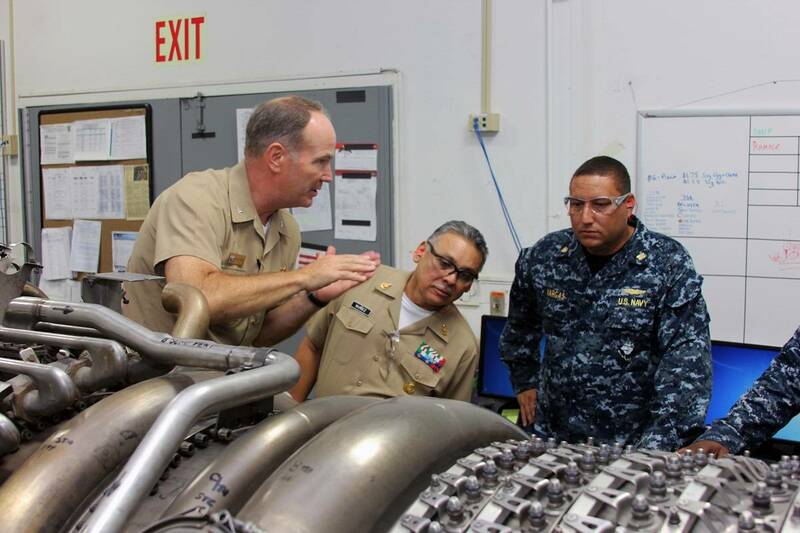 The U.S. Navy reported that its Norfolk Ship Support Activity (NSSA) welcomed the Mexican Navy Delegation to Building CEP-200, Naval Station Norfolk, Aug. 21 for a visit to demonstrate how one of the Navy's Regional Maintenance Centers (RMC) operates. NSSA Production Officer Capt. James S. Talbert briefed the delegation on NSSA's RMC shop capabilities and its organizational structure. "We just wanted to show them a snapshot of how our organization runs," Talbert said. The delegation toured several production shops including air conditioning and repair, pump, flex hose, valve, powdercoat and gas turbine training room, the U.S. Navy said, and the delegation was met at each shop by a subject matter expert who briefed them on their shop's capabilities. The last stop on the tour was the gas turbine training room, where Chief Gas Turbine System (Mechanical) Technician Raymond Hubbard, leading chief petty officer, briefed the delegation on the capabilities of the LM2500 gas turbine, which Hubbard identified as “the main propulsion engine used on the guided missile cruisers, frigates and destroyers." Upon completion of the tour, Director of Mexican Navy General Staff, Rear Adm. Gregorio Martinez Nunez presented Talbert with his command's coin. "It's very interesting to see the capacity that the United States Navy has to train their personnel," Nunez said. "It shows professionalism and reflects the potential that the U.S. Navy has and hopefully we can have that same potential."